What is the first word that you think of when you hear the word ‘Chicago’? If you’re a foodie like me, then pizza may be the answer! 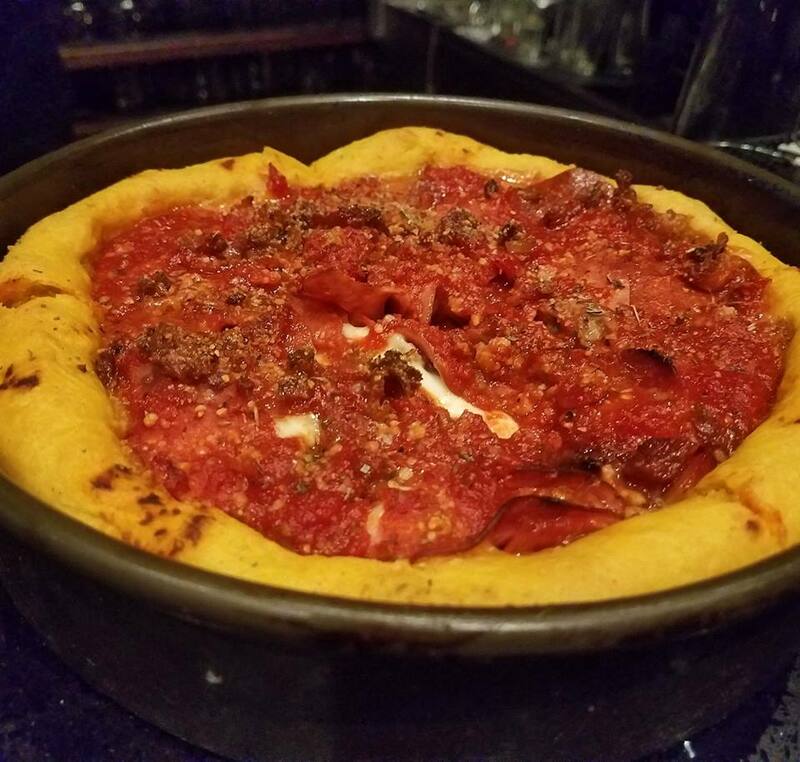 During my last trip to Chicago, I made sure to try all of the famous pizza spots and my friends, the hype lives up. There are so many delicious pizza places in Chicago and I had SO MUCH pizza and it was wonderful. All of the pizza places I tried were delicious for different reasons and Chicago style pizza is officially my favorite kind of pizza. Let me know which pizza spot is your favorite! 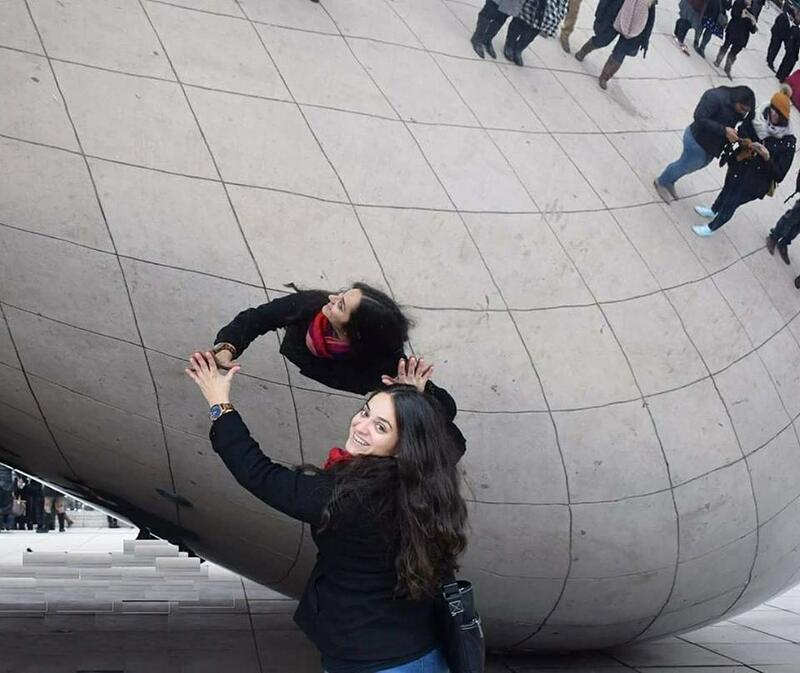 You can’t go to Chicago and NOT see the infamous ‘Chicago Bean’ also known as Cloud Gate. That’s like going to Texas and not eating BBQ, which is what actually inspired this post! If you’ve been following along on my Instagram Stories, you’ll see that on a morning run in Houston, I ran past a sculpture called the Cloud Column that reminded me of The Chicago Bean…and for good reason, it was created by the very same person: Anish Kapoor! 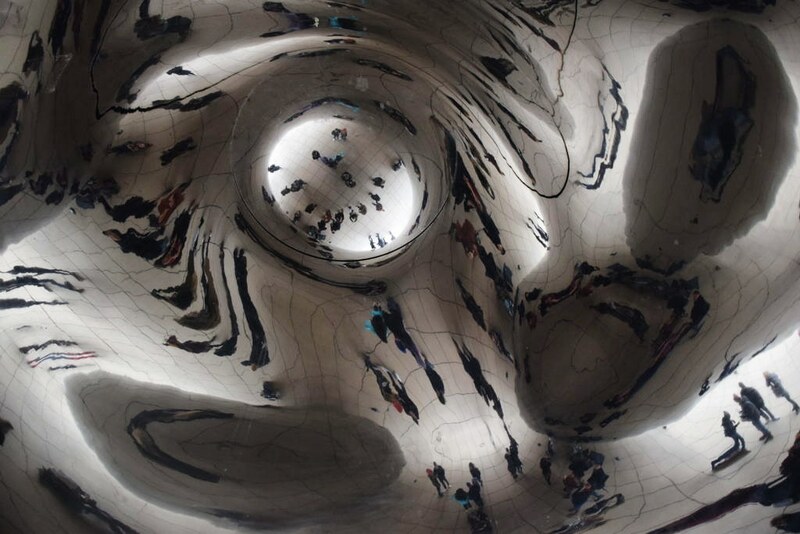 Enjoy six of my favorite photos from my time in Chicago, I hope they inspire you to visit! I’m leaving to New York City this week and I’m super excited to experience a brand new city! You can follow my live adventures this week on Instagram, Facebook and Twitter but for now let’s focus on the last big city I visited: Chicago! I fell in love with Chicago and I’m sure you will too, so I’ve decided to share 5 of my favorite sights! There’s so much to see but I didn’t want to write an entire book (lol) so I’ll be splitting up the Chicago Sights into a couple of posts. So stay tuned for Part 2 coming soon! 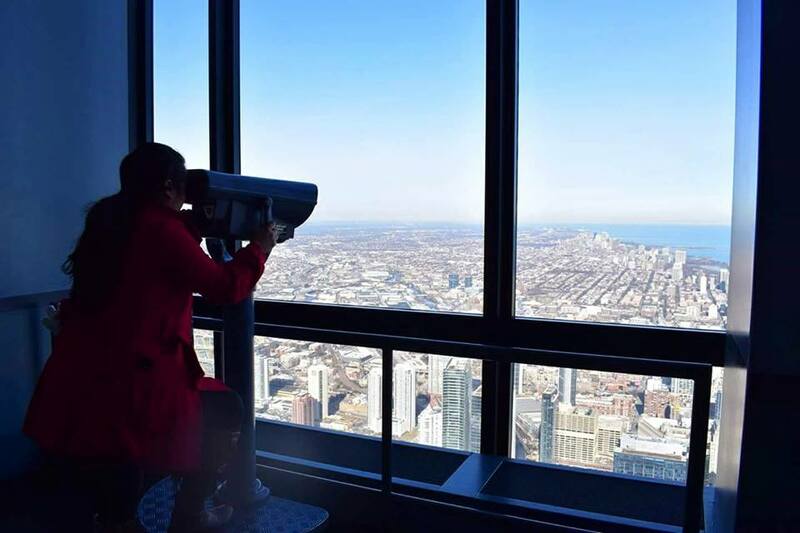 6 Wallpapers From The Willis Tower Skydeck! A few weeks ago, I visited Chicago for the first time ever to visit my college friend Erica and oh my goodness y’all, I LOVED IT. One of my fave parts of my trip was visiting the infamous Willis Tower! The views of Chicago from the Willis Tower (formerly known as the Sears Tower) were beyond breathtaking and it was really awesome to be able to finally visit a place that I’ve known about since childhood. I’ve given you all phone wallpapers from Puerto Rico, and I didn’t want your laptops or computers to feel left out, so here you go! I hope you enjoy these 6 wallpapers from the top of the Willis Tower!